By Robin Wauters , January 4th, 2016. It was one of the worst-kept secrets in the history of European VC, but now it's official: former Earlybird VC investors Ciarán O'Leary and Jason Whitmire have raised $120 million for a brand new early-stage investment firm (yes, another one) that will be based in Berlin. 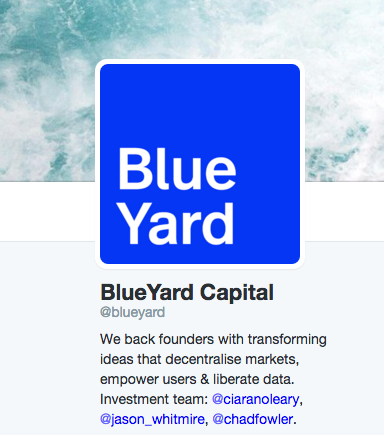 The new firm, dubbed BlueYard, will invest across Europe. Also worth noting: former LivingSocial exec and 6Wunderkinder CTO Chad Fowler is joining BlueYard as a venture partner. This is only one of the many changes the Berlin investment scene is currently undergoing, which we'll shine a bright light on in the coming weeks.